You know how Koreans always have crazy bright, smooth and dewy skin? STORYDERM laboratories represent Top-Of-The-Line Science Cosmetics for Beauty, Anti-aging, Well-Being & Medical skin care. 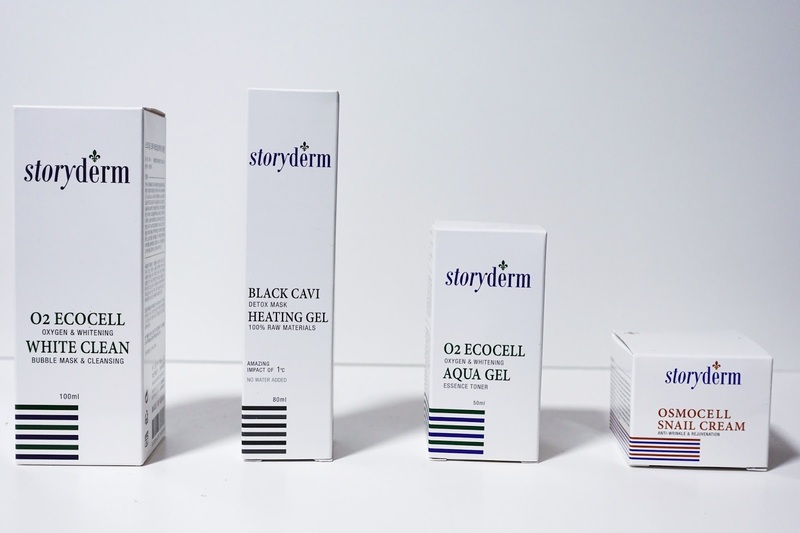 STORYDERM believes our skin is rejuvenated by stimulation of cell proliferation, strengthening your skin's elasticity by inducing the synthesis of collagen and elastin, dermatological skin care peptide by dermatological treatment. With advanced technology - OSMOCELL & Emulsifying technology, active ingredients are able to be absorbed into the skin. Through this technology, skin problems are identified, and treated accordingly preventing recurrence. 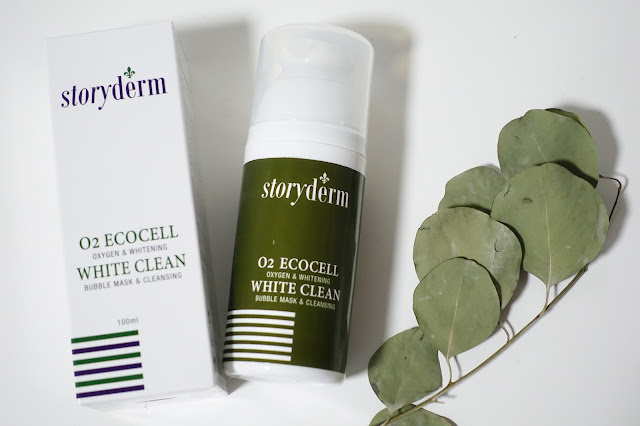 Thankfully, one-time cleansing can be achieved with STORYDERM's O2 ECOCELL White Clean. It's super soft & gentle on the skin and yet has the ability to cleanse throughly. Formulated with 12 kinds of plant extracts, this hypoallergenic deep cleanser effectively purifies the skin as the formula starts bubbling up oxygen on the skin's surface. (THIS IS MY FAVOURITE PART - Where the cleanser turns into bubbles on the skin. Super fun to watch and has abit of tingly sensation too!) The small oxygen bubbles penetrate deep into pores to throughly remove sebum, impurities & dirt. Basically it is a make-up remover, cleanser & exfoliant all-in-one. O2 ECOCELL Aqua Gel is a gel toner that supplies oxygen & moisture skin-deep. Formulated with Coptis Japonica Root Extracts, this hydrating gel hydrats dry skin by providing excellent water balance control. (Don't you hate it when your toners dry out your face?) Coptis Japonica Root Extract has excellent anti-bacterial, anti-inflammatory effect and promotes blood circulation as well! The Fucoidan of Sea Grape extract in the product slows down your melanin production. This product helps to brighten dull & dark skin as well as maintain your skin's hydration and protects skin from free radicals. 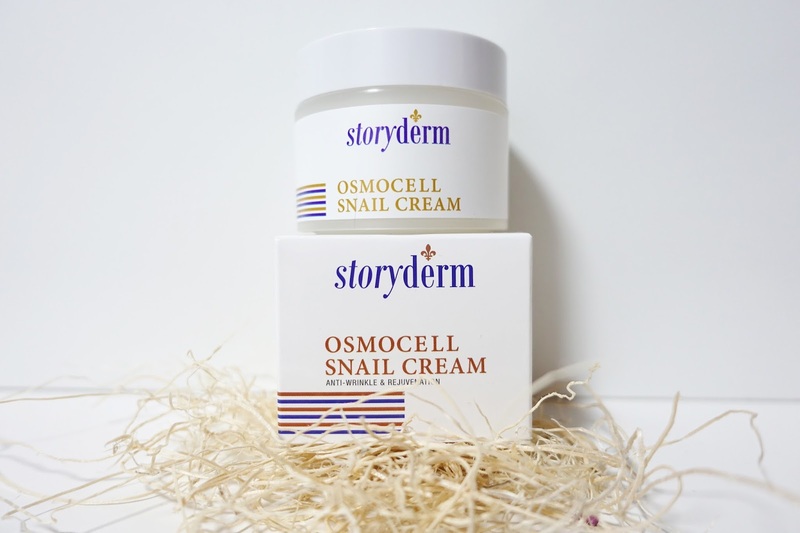 Storyderm OSMOCELL Snail Cream helps your skin to regenerate, stimulate the formation of collagen & the elastin of your skin. 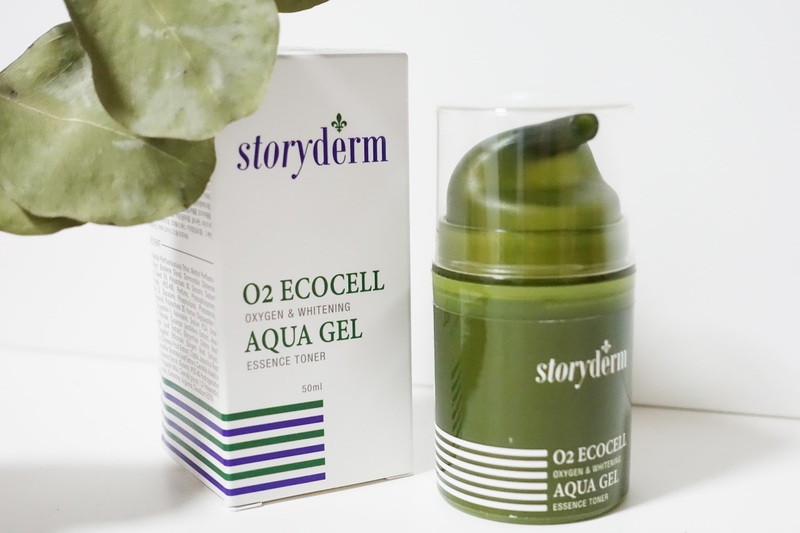 Infused with Wild Ginseng Extract, it helps to further nourish the skin while the Snail Secretion Filtrate protects skin from free radicals, soothes skin, repairs damaged tissues and restores hydration. 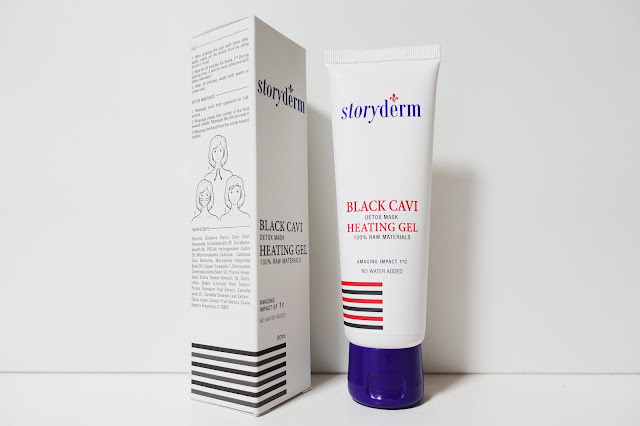 It absorbs quickly into the skin so there's no sticky feeling after application. Did you know cosmetics & skin care products containing fragrances can cause volatile reaction on your skin in the long run? This is something I am very familiar with becos my skin is sensitive af and using the wrong skincare products can cause my entire face to break out in a rash. Sigh. 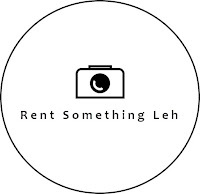 Woes of someone with sensitive skin. 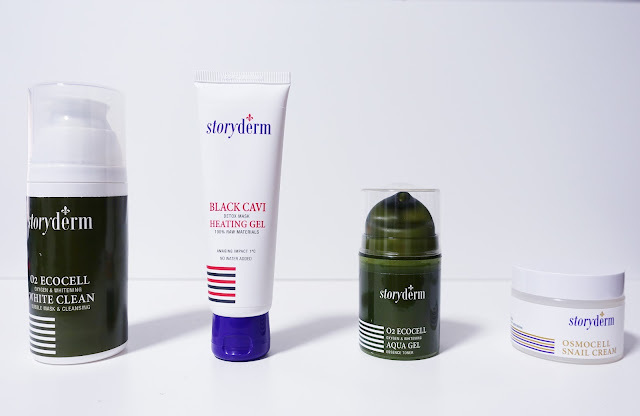 So anw, if you don't already know, face detox is equally as important as body detox which is where the Storyderm BLACK CAVI Heating Gel Mask comes in. It is a facial detox treatment that effectively removes toxic from the skin. With it's new technology of Hyperthermic effect where it elevates skin temperature by 1 degree celcius to help with the purification of the skin by eliminating dead skin cells and clogged pores. 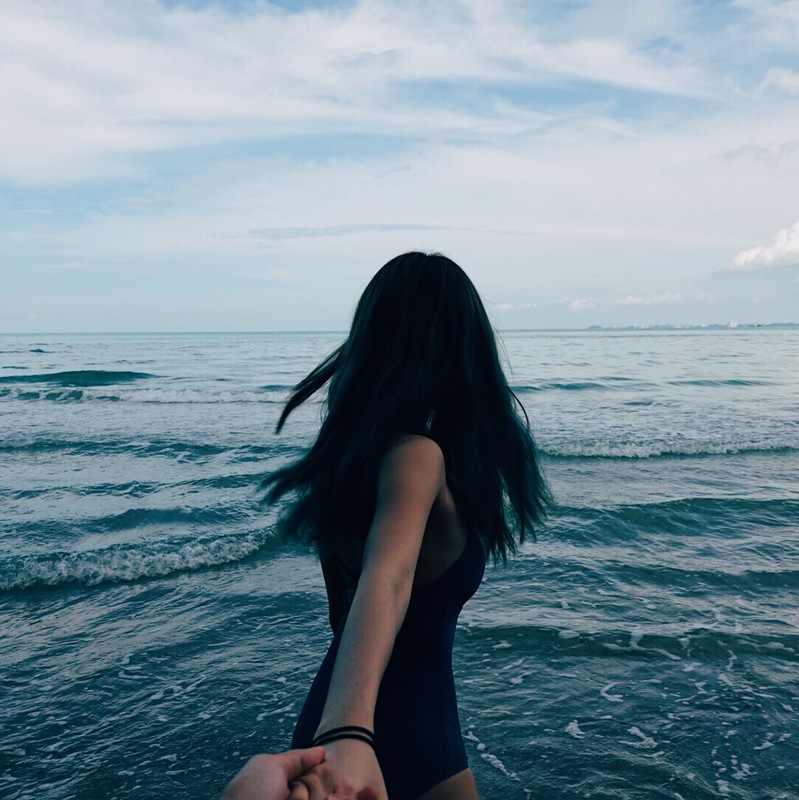 With the specially added Marine collagen (Caviar), it activates the detoxification by allowing better blood circulation and improves the skin metabolism. This maximizes penetrability up to 2-3x. With active ingredients being absorbed into the skin, you will get to experience superb skin regeneration and elasticity. My favourite product of the entire range that was sent to me! 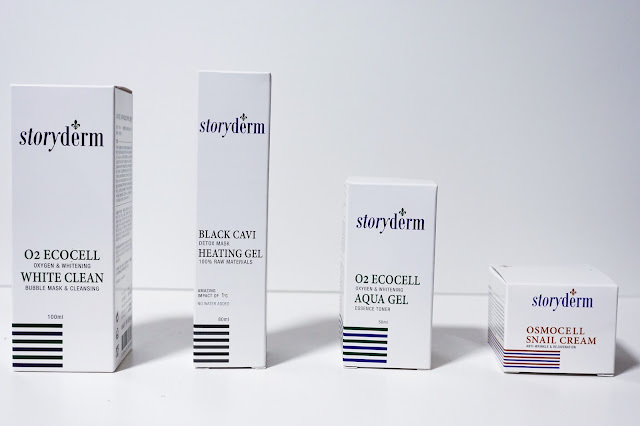 Storyderm O2 Peeling Jewellery Ampoule Mask is especially for skin brightening and intense moisturising. This Ampoule mask helps to strengthen the skin barrier, control blemishes, spots, pigmentation, freckles and melanin caused by skin aging. It also corrects uneven skin tone. Formulated with only natural ingredients, the mask enables skin to benefit from maximum hydrating level. Skin is lifted and your wrinkles become less visible! Really super refreshing and has this tight feeling after you remove the mask. I always love masks that gives me the 'tight' feeling - It means the masking is working... right?